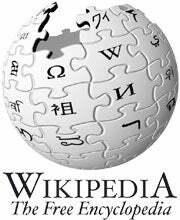 Wikipedia may be blocking access to the English language version of its site for the next 24 hours to protest the Stop Online Piracy (SOPA) and Protect IP (PIPA) acts but there are still many ways people can get research done. Google is still functioning but is blocking its own logo to U.S. visitors along with a link to this protest page. Sites including BoingBoing, Craigslist, Reddit and Wikipedia are going a step further by blocking access to their content and displaying protest messages instead. That's good news if you're opposed to SOPA -- which critics argue would do fundamental harm to the Internet by making it possible to block foreign websites accused of copyright infringement -- but bad news for anyone who relies on Wikipedia for finding basic information or as a starting point for online research. This may not be in the spirit of today's protest, but if you're desperate for data, here's a look at five ways you can still find out the population of Fiji, when George Washington died and the name for next week's episode of the TV show Shameless. The easiest way to find information from Wikipedia is to use your smartphone's mobile browser or apps such as Wikipanion. In tests, Wikipedia was also blocking Safari for iPad, but Wikipanion for iPad could still get information from English Wikipedia. English Wikipedia hasn't actually been pulled down; the site's articles are just being blocked by an overlay. So if you're on a PC and you're quick on the draw, you can stop the blackout from loading. Before you land on the Wikipedia page have a finger resting on your keyboard's escape button and then hit it as soon as you see text on your Wikipedia page of choice. Hitting escape stops your browser from continuing to load the page and the blackout overlay will be stopped. But keep in mind that if you are not careful some of the code you borrow could be malicious. So if you use any scripts from userscripts.org or anywhere else online, you do so at your own risk. In my tests, the script Wiki SOPA Overlay Remover by userscripts.org user nikhilio was the easiest to use. For each script I tested, you briefly saw Wikipedia's blackout overlay before the script would strip it away and show you the original page. You could also rely on Google's cache of saved pages for Wikipedia information. 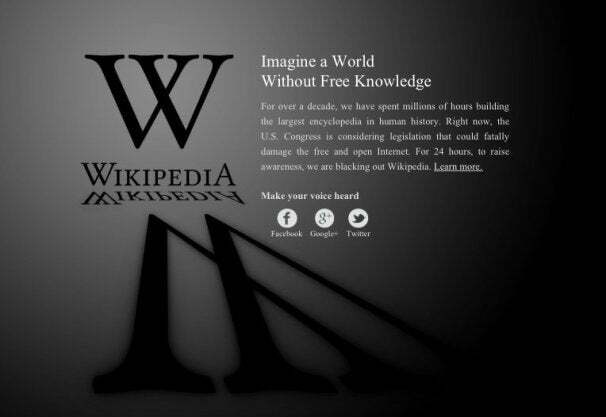 Let's say you want to find the Wikipedia page on SOPA. Just type "SOPA Wikipedia" into Google and the top result should be the online encyclopedia. Next, hover over the double arrows on the far right of the search result. This will open Google's preview of the page, and just below the page title you should see a little blue link called "cached." Click on "cached" and you will see Google's saved version of the Wikipedia page, along with a message telling you when the search engine last looked at the article. Keep in mind that using this method could result in seeing some outdated information, and clicking links in the cached version will take you to Wikipedia and not another cached page. Wikipedia may be popular, but it's not the only source for basic information on the Web. So Wednesday might be a good day to sharpen your research skills and try using alternatives such as Encyclopaedia Britannica. For information about politicians and world leaders such as Hugo Chavez or Barack Obama you can try the BBC's profile pages, and online dictionaries such as reference.com can help you find word definitions. If you need to find out basic statistics about a country such as population or land mass try the CIA World Factbook. You can also try searching for information on newspapers sites such as The New York Times. For example, say you want to find information about the Egyptian revolution. Just type "Egypt revolution site:nytimes.com" into your search engine of choice and you'll be presented with lots of different articles to peruse. The downside is this method will probably blow through your monthly 20 free articles limit for The Times if you're not a subscriber. If you're looking for more information on SOPA, PIPA and the protests surrounding them visit the Electronic Frontier Foundation.